Careful, Amazon: Walmart is gaining. Walmart, the world’s biggest retailer, posted its best financial results in more than a decade, propelled by a 40% jump in e-commerce sales and strong results in its grocery business. The strength of the report “shows the brand is reaching new customers and succeeding in new categories,” writes Simeon Gutman, an analyst who follows Walmart for Morgan Stanley. Total revenue for the second quarter climbed 3.8% to $128 billion, from $123.4 billion in the same period a year ago, well above expectations. In the U.S., comparable-store sales rose 4.5%, the largest increases in more than 10 years, with gains in both traffic and average ticket price. And sales in Walmart’s fresh foods showed the biggest bump in nine years, especially in produce, meat and bakery, with consumers especially enthusiastic about its private-label brands. Electronics had its best performance in four years, buoyed by an increased assortment of TVs, audio, wearables and gaming. Observers are especially pumped about the retailer’s e-commerce progress, with e-sales rising 40% in the U.S., up from 33% in the last quarter. And the company says it is on track for a 40% gain for the full year. It is investing heavily in omnichannel efforts, now has some 700 pickup towers and is offering grocery pickup in 1,800 locations. By year’s end, it says it will have grocery delivery available to 40% of the U.S. population. 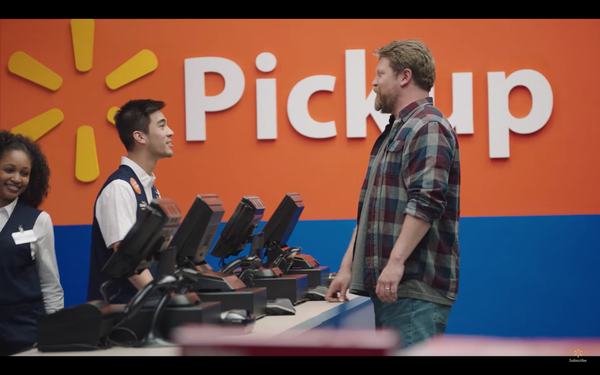 “Grocery pickup wait times continue to come down, and our grocery delivery times are improving,” says Doug McMillon, its president and CEO, in the company’s presentation about the results. Operating income dropped 3.7% to $5.8 billion, down from $6 billion. When it comes to profits, though, investments in technology, price cuts and wages have created a “not great” outlook, writes Gutman. “The formula of top-line gains but flattish profits is acceptable today,” he says, but isn’t likely to be sustainable going forward. “E-commerce losses are accelerating,” he says, with no clear signal for when they will slow.